On Saturday 15th September we had a pleasure of hosting a Meet&Greet with painters and printmakers Gail Brodholt and John Duffin and ceramicists Maree Allitt and Jane Hollidge. We really enjoyed finding out more about the artists, about their practice and inspirations. Thank you all for coming! Friday 5th October between 6pm-7.30pm - Private View of our upcoming exhibition of paintings by Gael Sellwood and ceramics by Margaret Gardiner and Tiffany Scull. 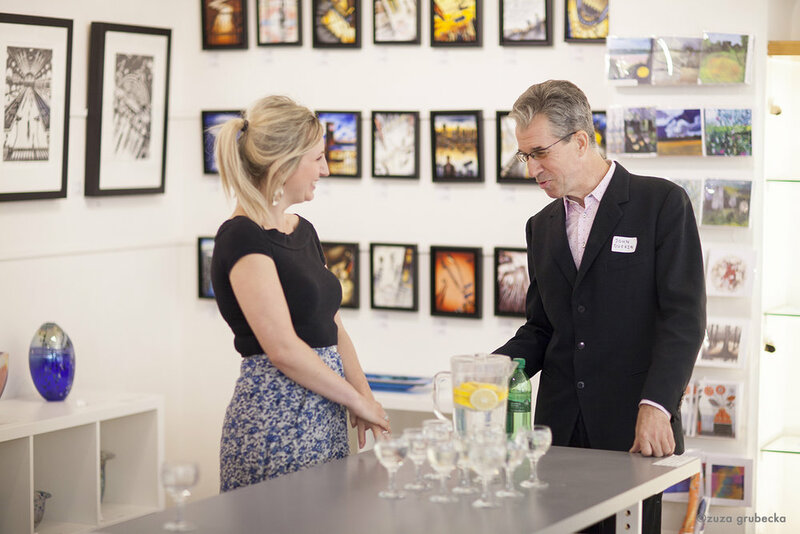 This is a great opportunity to meet the artists and chat about their work, so do join us. The event is free, if you would like to attend we kindly ask you to register here. Sunday 21st October between 2pm-4pm - artist demo with ceramicist Margaret Gardiner. This is a free event, please register here. Saturday 27th October between 1pm-3pm - Demo and book signing by Gael Sellwood. This is a free event, please register here. For our landscape-themed March exhibition at cambridge contemporary art, we are very excited to have new oil paintings by Emma Green, prints by Iona Howard and wooden trugs by Jane Crisp who is new to the gallery. 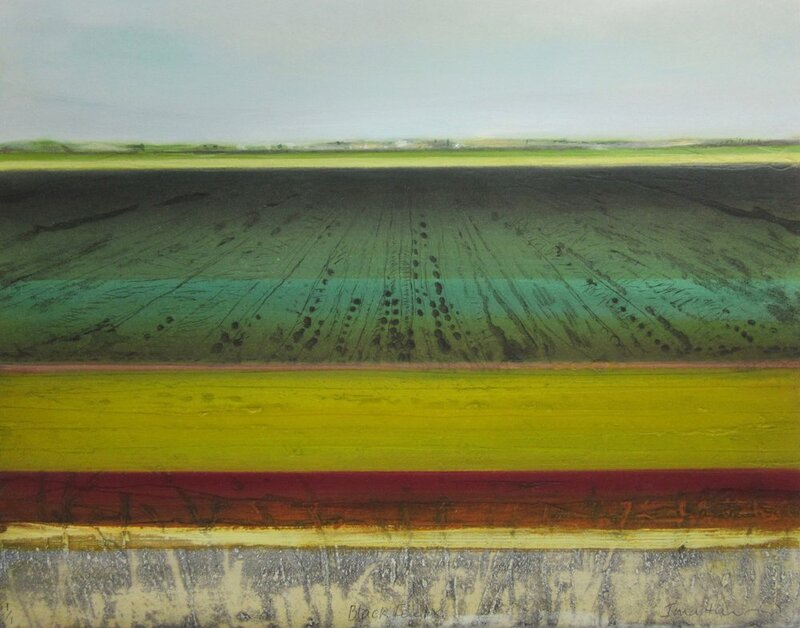 Emma Green is a contemporary landscape painter based in Woodbridge, Suffolk. Working from her studio by the river Deben, Emma is strongly inspired by the coastal environment around her. 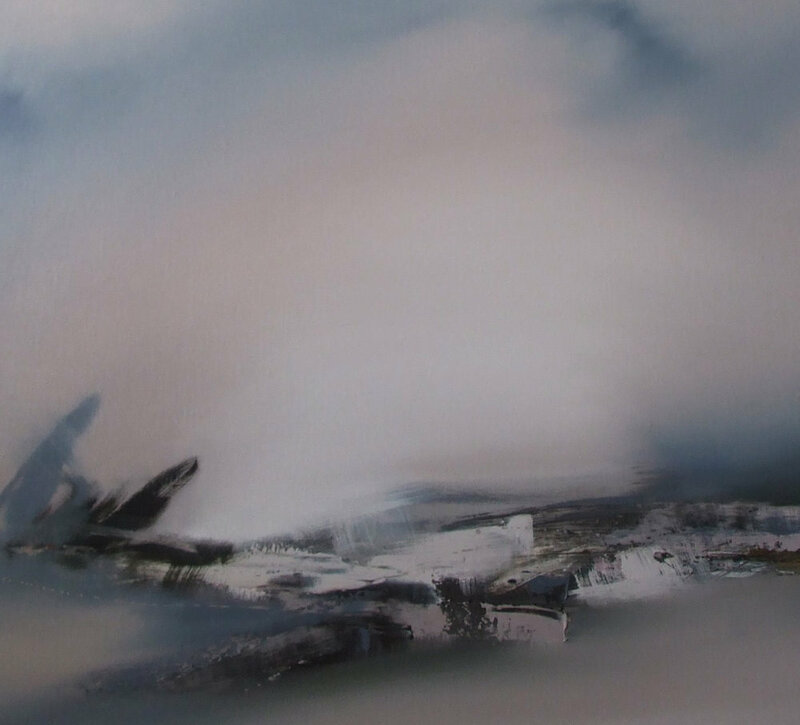 Emma’s new collection of work draws on the changing light and atmosphere of the river Deben. 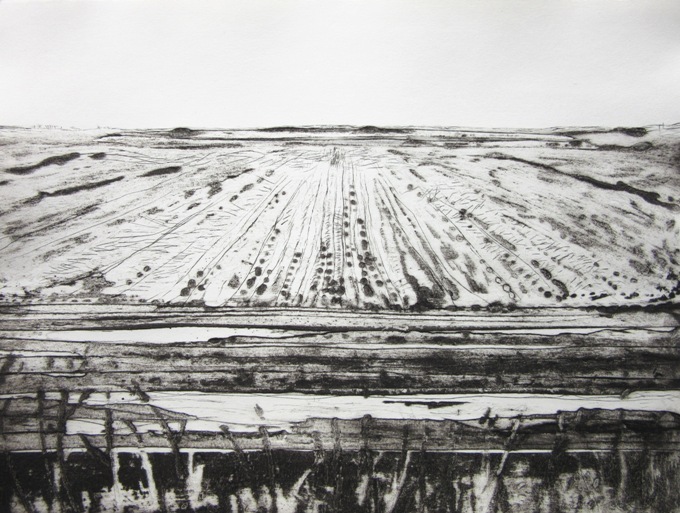 Iona Howard’s fine art prints similarly express an intimate connection with landscape, mainly the flat fenland near her Cambridgeshire studio. Howard’s work has more recently been informed by a year-long collaboration with the Fenland Poet Laureate, Kate Caoimhe Arthur. Arthur’s poetry will be displayed alongside Howard’s prints, allowing a conversation to emerge between the two bodies of works both inspired by the fen-edge landscape. Working from her home studio and workshop surrounded by beautiful countryside in Hale Fen, Cambridgeshire, Jane Crisp creates steam-bent trugs. 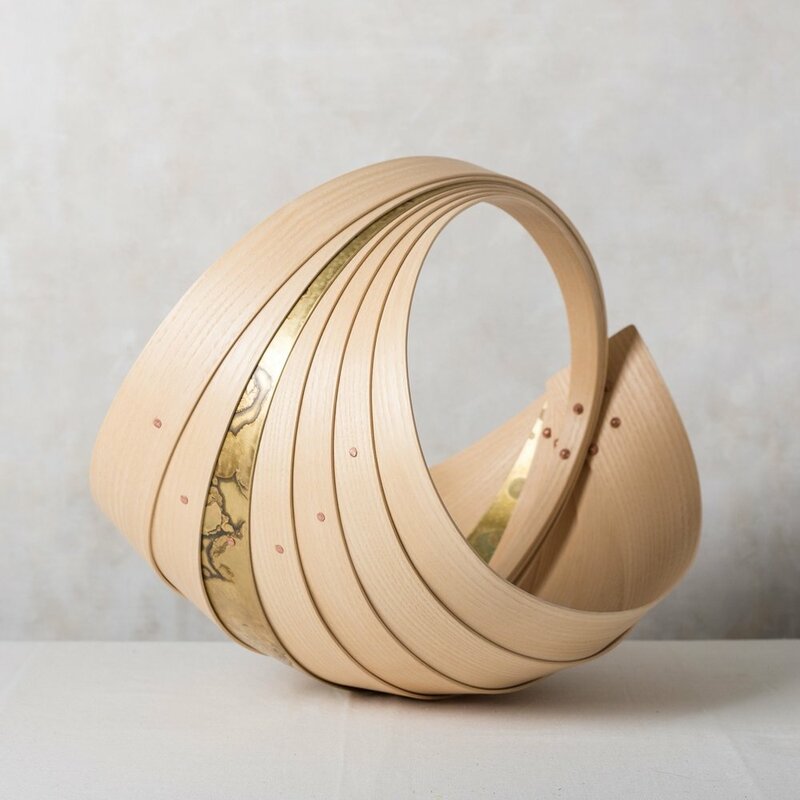 The inspiration for her sculptural vessels comes from the Norfolk reeds and draws on her creative personal connections with local heritage and low-tech processes. We are hosting a poetry and music event on Thursday 15th March from 6-7pm. Kate Caoimhe Arthur who will be doing a poetry reading, accompanied by guitar music by Dominic Howard and sound recordings from the Fens. 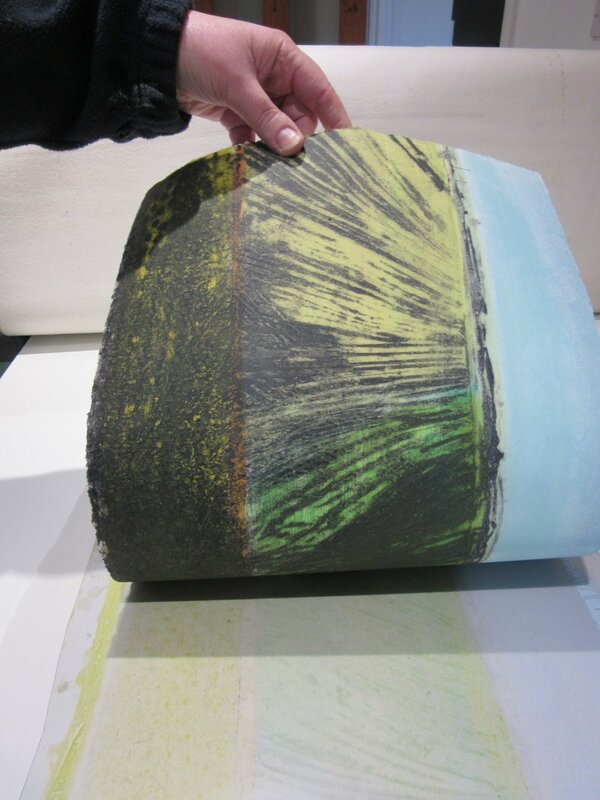 Iona Howard will also be at the gallery to give a talk about her printmaking practice on Sunday 18th March at 2pm. This is a free event. 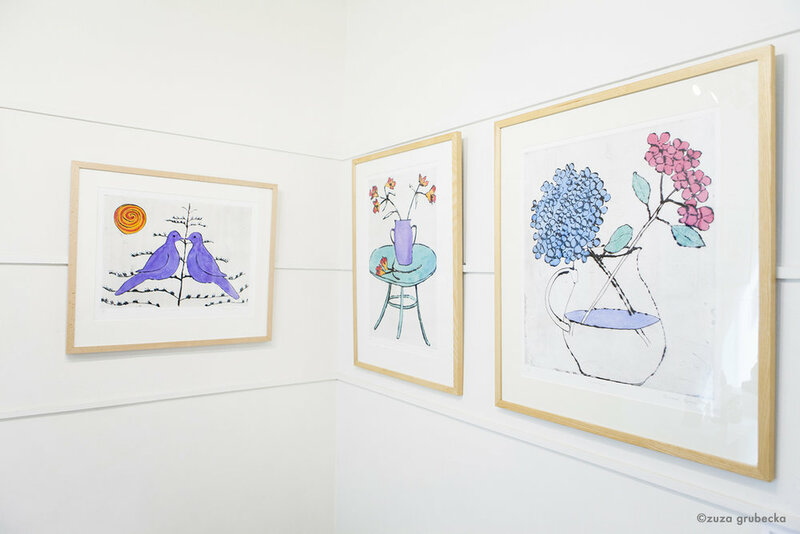 This is a great chance to meet the artist and learn more about her printmaking process. 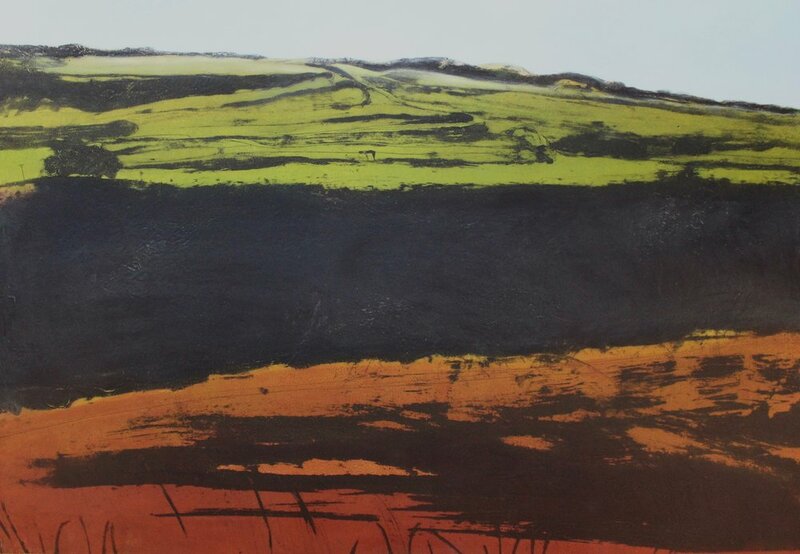 Richard Spare's wonderful prints are now on show at Cambridge Contemporary Art in an exhibition with printmaker Robert Greenhalf that runs until 5th March. His pared down images, depicting scenes of wildlife, coastal scenes and still life, are inspired by his studio garden, and time spent travelling in America and Japan. To learn more about the way Richard works we asked him a few questions. When did you first know you wanted to be an artist? I don’t remember as a child making a sudden decision to be an artist, but from an early age I was drawn to making and designing. It was a natural progression to go to art college and work with other artists. Nature must be an inspiration to everyone! The garden at my studio is a constant source of inspiration, as is travel - on arrival in a new part of the world, I am usually weighed down with copper plates! I always draw directly onto the plate from my chosen subject. I love working straight onto the copper, the act of drawing on the resistant copper dictates the way I draw, and the way the image turns out. I am not transposing from another medium, so each print is an original interpretation, individually printed by hand, and hand painted. Each print is thus slightly different. I enjoy the rich velvet blacks of the drypoint line against the pure pigment of the watercolour and find the vibrancy of the pigment against the strength of the black a beautiful combination. How long does the process take and what is involved? Each single print takes considerable time to produce. Aside from the time taken drawing the image (which takes many hours and some strength!) - the plate must be re-inked and hand-wiped for each print made. The plates are printed on my antique etching presses - the technique having changed very little since Rembrandt’s day. The press is turned by hand and the damp paper is peeled off the plate to reveal an image which is thus unique - no mass production here! The print is then dried for eight hours under weights and is hand-coloured, the application of watercolour painting on the printed drypoint line and gives another dimension of uniqueness. Use of precise colour is extremely important; my wife Kay and I spend a lot of time proofing the colours, until the right balance is achieved. Do your floral titles come from a knowledge of plants/botany/horticulture? Unfortunately I don’t have green fingers myself, or know many Latin names, but I adore flowers and get a real buzz when something wonderful blooms in the studio garden! How do you arrive at your pared-down images? By a process of elimination, over the years I’ve tried to express the essence of what I see. I attempt to evoke the fragility of life and my respect for its existence. Each animal, bird or flower has its own character, often engagingly quirky or even humorous, I enjoy bringing these charictoristics out in my work. How did your time in America and Japan influence you? Whilst in New York I spent a great amount of time in the museums. It was during one such visit to MOMA that I was struck by Matisse’s sublime simplicity of line and shape. On return to London I went on to produce Blue Bird, which was, I suppose, the start of my current work. Since then I have traveled extensively in Japan which I was fortunate enough to visit annually for eleven years for a series of solo shows. After a five year break, I am excited to be going back this November for 25 shows right across Japan. I adore the rich culture and artistic traditions, the beauty of the landscape, and the people, all of which has an influence on my work. Rembrandt, Goya, Van Gogh, Picasso, David Hockney, Hokusai, Utamaro, Hiroshige and many, many more. What are your favourite museums and galleries? MOMA, NY, Van Gogh Museum, Amsterdam, Royal Academy, London, Ukiyo-E Ota Memorial Museum of Art, Tokyo. I am not a morning person! I usually work at home in the morning, going through the diary, signing prints or discussing ideas or licensing requests with Kay. I arrive at my studio, which is a few miles away, in the late morning and open up the shutters at the back so I can see the garden while I work. I may be printing, or steelfacing my plates (an electroplating process which strengthens the drawn plate, so the image is maintained throughout the punishing pressures on the copper as the edition is printed on the antique etching presses). If I am travelling then of course I am out drawing! My work will always be informed by travel and nature and I seek inspiration in these. My interpretations have evolved gradually over the years and I’m sure will continue to do so. The printmaking process is constantly surprising and inspiring in itself, and I like to use found textures and marks in some of my works. My work and leisure cannot really be separated, - but my family, travel, film, meeting up with old friends come top of the list. 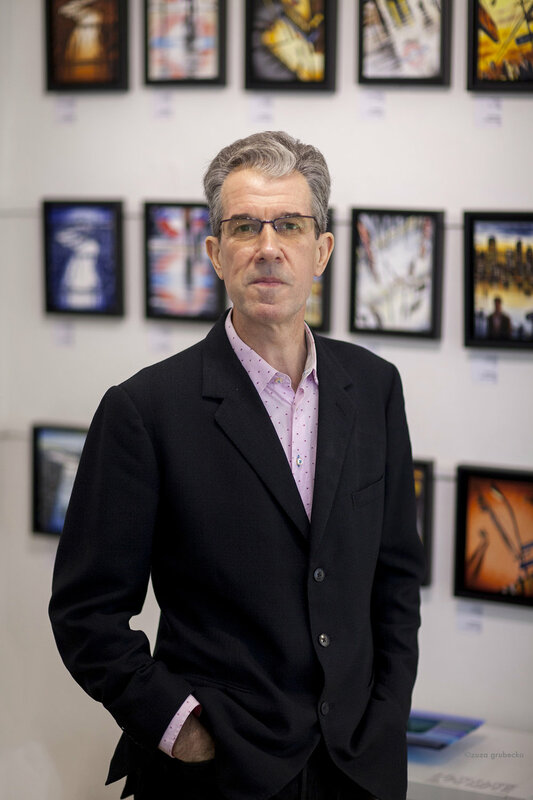 Meet Richard Spare in the gallery on 19th February at 2pm. 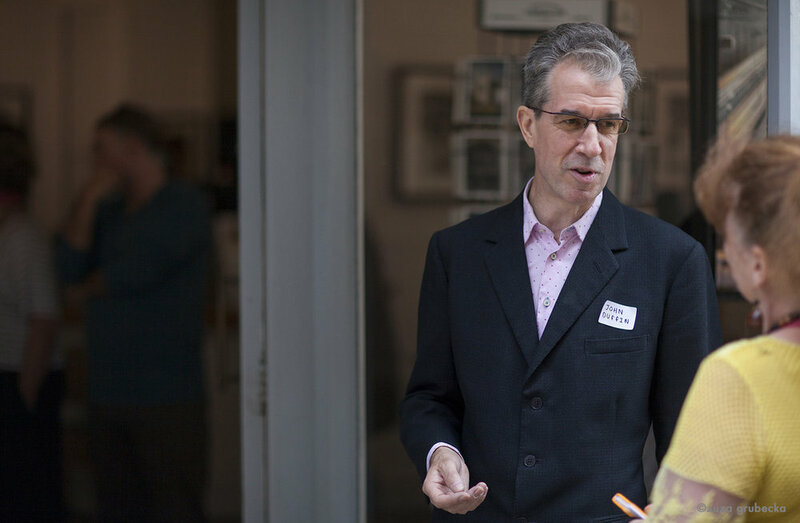 Richard will be at cambridge contemporary art (6 Trinity Street, Cambridge) to chat to visitors about his work.